In dealing with unacceptable behaviour it is our practice to explain to the child that their actions are inapropriate, to study the reasons for this behaviour and to change, if necessary, the childs pattern of activities. Knowledge of our rules on health and safety is a requirement of all staff and part of their contract of employment. No action is to be taken by any person employed by the nursery which could threaten the health and safety of themselves, other employees, the children or any other person on the nursery premesis. No smoking or alcohol is permitted on the nursery premises. Medicines are administered only at the request of parents who will make the appropriate entry into the medicine book. All accidents which take place in the nursery are recorded in the accidents book. Fire drills are practised regurlarly and recorded. The equipment and materials used in the nursery comply with British standard requirements on health and safety. It is important that the parent should inform the nursery of any injury or accident to their child when they arrive as we are legally bound to inform social services of any injury that we believe to be non-accidental. 1. Please inform the Nursery if anyone other than yourself is going to be collecting your child. 2. If you change your address or daytime telephone number, please inform the nursery IMMEDIATELY. 3.Please label all items of clothing clearly with the childs full name. 4.The nursery will open all year round excluding Christmas and Bank Holidays. 5.A non-returnable fee of £25 is payable on registration of your child. 6.Full fees are payable during Christmas, Bank Holiday closure and if a child is off sick or on holiday. All fees are payable prior to holidays commencing. 7.All fees are payable on the Thursday prior to the week commencing Monday or a month in advance. 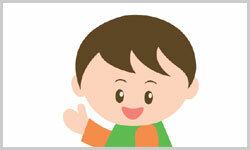 8.Two weeks notice is required if a child is to be withdrawn from the nursery. 9. Parents whose children still require nappies will be expected to provide them.